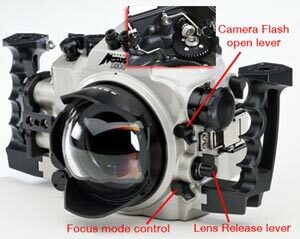 Nexus Underwater Housings are finely machines underwater housings in Japan by Toshi Kozawa (full name Toshikazu Kozawa) and his company, Anthis for use in underwater photography. Machined to very high standards, with a high degree of precision and low tolerances, out of marine grade Aluminum. Housings machined outside of very fine tolerances have been known to be discarded. 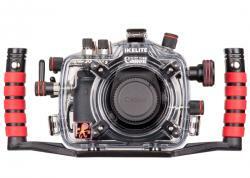 Many of the more recent housings include 2 fiber optic ports for using your underwater strobes, with 2 optional additional hard-wired sync ports. Recent camera models supported by Nexus include the Nikon D90, Nikon D40, Nikon D300, Nikon D300s, Nikon D3 & D3x, Canon 50D, Canon 5DMkII, Canon 1DsMark3, Olympus E3. 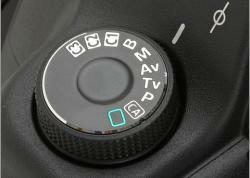 M5 is the older port size, known as the "master size", for housings such as the Nikon D200, Nikon D80, and the Nikon D2X. This smaller port size worked well for most lenses and allowed a compact housing design. Due to a couple larger lens diameters, and in order to work better with the Nikon 105mm VR lens with a manual focus gear, Nexus changed port sizes to the M6 size, for housings such as the D300s, Canon 7D and Nikon D700. M6 is also called the "medium size". There is a M5->M6 adapter that will an underwater photographer to use most of their M5 ports with the new M6 size housings. Check out the new Nexus glass ports that are the M6 size. This size is even larger than the M6 port size. 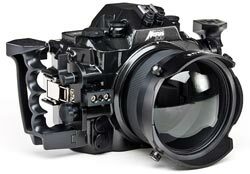 It's used in full-frame camera housings such as the Nikon D3 and the Canon 1dsMark3. It's the same port size that was used in the old film housings, so it's also called the "film camera size". Because of the larger port size, these housings are larger than the other housings. If you have old F4 ports from film housings, these will still work. Nexus was the first housing manufacturer to come out with an ultra-compact dome port for use with the Tokina 10-17mm lens. 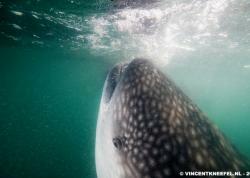 Underwater photographers have been getting excellent results with this 4 inch diameter port.